Health Canada has declared June as ALS Awareness Month. During the month of June, various fundraising campaigns, events and public awareness initiatives will take place. These initiatives aim to spread awareness about ALS and to raise funds for the ALS Society of Alberta and the national research program. 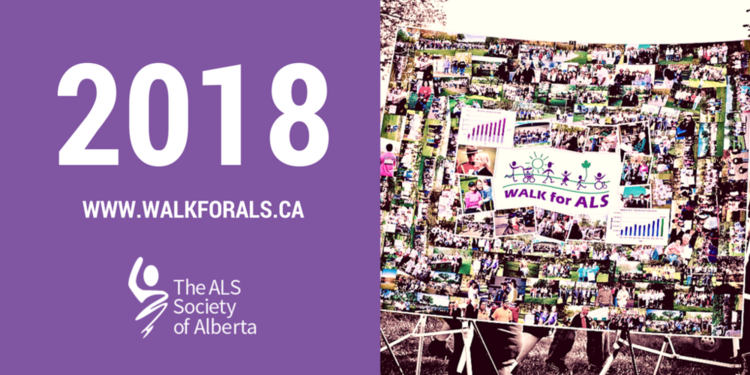 On June 20, the ALS Society of Alberta, along with a dedicated team of volunteers, will host the annual WALK for ALS in Peace River. It will take place at Riverfront Park at 6 p.m. You can find out more about the WALK for ALS by visiting www.walkforals.ca or by email at peaceriverwalk@alsab.ca. The ALS Society of Alberta is a non-profit organization dedicated to making each day the best possible day for people living with and affected by ALS. It is the only non-profit organization in Alberta that provides support to those affected by the disease and is the largest donor per-capita to the national ALS research program. Amyotrophic Lateral Sclerosis (ALS) is a rapid, always fatal neurodegenerative disease with no known cause or cure. In time, the individual with ALS is left completely immobilized, with loss of speech and an inability to swallow and breathe. Approximately 3,000 Canadians live with ALS and two to three will die every day of the disease. 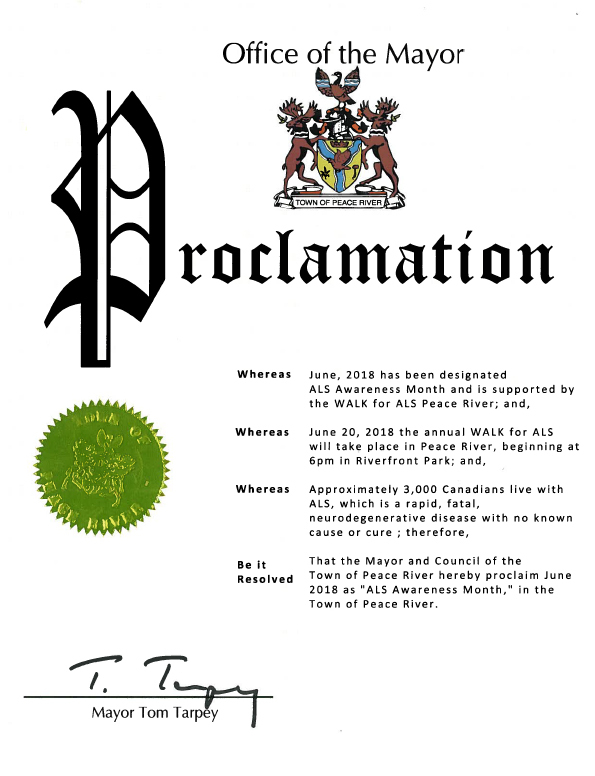 In support of this event, the Town of Peace River has officially proclaimed June as ALS Awareness Month.